Indie garden center retailers from all across the country will get a jolt of retail inspiration on the 2019 GCA Summer Tour, June 23-26, in Nashville. The Music City-bound tour holds a dynamic mix of IGC retailers, eye-opening educational sessions daily and more opportunities for networking with owners and managers at each store than ever before. Not only will the 16th annual tour visit a wide variety of garden retailers, from trendy, urban garden boutiques to country-rustic nurseries and multi-generational, established independents, but also it will include enlightening Q&A sessions with the leadership at each garden center stop. Staffing Symposium — Ideas on hiring, training and retaining great employees; pay and benefits; continuing education and training for staff; and more. Events & Activities — How to plan successful events and workshops that bring in shoppers. Enhancing Your Web Presence — Covering websites, social media, email blasts, online ordering and more. Adding even more educational value this year are daily container-building demos with Sharon Hadden, who wowed audiences at the IGC Show last summer with her energetic workshops. She will reveal her latest recipes for Grab & Go container sales that will turn a fast profit at your store. GCA Summer Tour Nashville’s festivities begin with Sunday’s Opening Night Reception at host hotel Sheraton Grand Nashville Downtown. Attendees will enjoy networking over two complimentary beverages from the full bar, followed by dinner with a range of choices that include chicken and beef fajitas, an assortment of pastas with a mix of sauces and meats, and fresh tossed-to-order salads. Don’t forget to sign up for the Tuesday night pub crawl on Nashville’s famous Music Row, home to many restaurants and bars, including Blake Shelton’s Ole Red, Jason Aldean’s Kitchen & Rooftop Bar and Florida Georgia Line’s restaurant, FGL House and more. Operated by the third generation of the Moore family, Moore & Moore Garden Center has been a staple in the Nashville community since its inception in 1980. 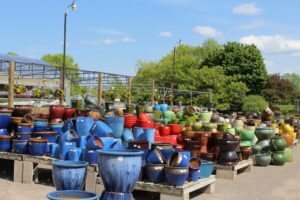 Starting with mainly color and bedding plants, the garden retailer has transformed into a destination for pottery, garden gifts and home decor – in addition to flowers, shrubs and trees – after almost 40 years in business. 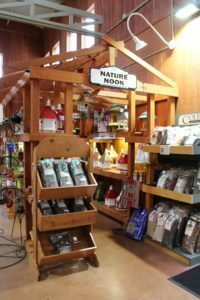 Although the garden center operates on a smaller property, Moore & Moore is recognized for its parklike setting with sweeping pathways, creative use of space and inspiring merchandise displays that portray gardening lifestyles. Unrivaled for its selection of decorative containers, the retailer carries a variety of pots that touch on all shapes, sizes, textures, colors and functions. Promoting a healthy, active agenda for all its customers, Moore & Moore Garden Center operates by its tagline, “Cultivating Lifestyles.” Moore & Moore offers same-day delivery on large products, such as trees and potted containers, as well as at-home consultations for landscape design. For “do-it-for-me” customers, lawn maintenance and landscape installation round out its selection of gardening services. Operating by organic-only philosophies and methods since day one, Gardens of Babylon is an urban garden boutique with a fun, funky, eclectic atmosphere that specializes in products for small-space gardeners, sustainable-minded customers, high-end clientele and everyone in between. Located in the largest retail space in the heart of downtown Nashville, Gardens of Babylon’s large, open floor plan holds a vast selection of rare, exotic plants, as well as pottery and garden decor, for residents in the Music City. Be sure to ask about their custom containers, rooftop gardens, living walls and other interior gardens that are specialties here. Tour-goers will marvel at the fact that the company’s sales consist of 30 percent retail, while their broad portfolio of landscape projects make up the remaining 70 percent. The landscaping side of the business covers a wide range of projects for residents, commercial clients and schools. Gardens of Babylon has installed more than 20 community and school gardens in the greater middle Tennessee area. Ponds, waterfalls and other water features are huge focuses for JVI Secret Gardens, a certified installer of Aquascape products. 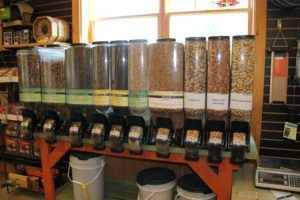 Despite the smaller footprint at the garden center, it packs in a variety of seasonal plants, trees, shrubs, edibles, aquatic plants, garden decor, wind chimes, pottery, soils, fertilizers, tools and other supplies. Merchandisers play with colors and textures to keep the displays visually interesting, and vignettes are usually refreshed every other week to offer a fresh, clean look for every shopping trip. JVI Secret Gardens stresses the importance of supporting local first, and has worked hard to establish great relationships with the community. Toward the end of the year, the garden center becomes a hangout spot for the community with its free seasonal events, such as the Fall Fest and Christmas Experience. Dedicated, knowledgeable sales associates deliver personalized shopping experiences for each and every customer. 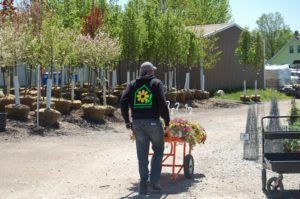 This full-service garden center offers landscape installation, maintenance, design, mulching and shrub removal services for its “do-it-for-me” customers. Martin’s Home & Garden is the area’s full-service resource for bedding plants, herbs, perennials, shrubs, outdoor living and much more – bringing to life the tagline, “Where Beauty & Quality Meet,” which is printed on sales associates’ t-shirts. Lawn furniture built by the Watson family in Smithville, TN, fountains, bird baths and pottery round out the product selection. Martin’s maintains unique, close-knit relationships with its growers in order to customize the plants it carries and tailor its inventory to customers’ requests. The greenhouse department is the heart and soul of the operation – it generates one-third of the garden center’s revenue. Take a stroll through the newly renovated gift shop, completed last year to brighten up the space and transform it into The Market. 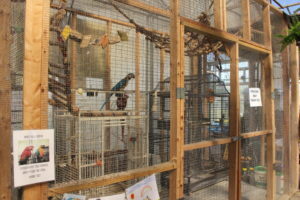 The space features fresh produce locally grown by Amish farmers, houseplants, personal care items made with farm-fresh ingredients, wind chimes and gifts. Be sure to check out Martin’s new pergola and the raised beds stationed at the front of the store. Nestled in the quaint surroundings of historic Main Street in downtown Franklin, TN, Yarrow Acres is the area’s first “Gardener’s Gift Store,” offering customers everything for “in and out” of their gardens. Blending the cross-section between indoors and outdoors, the garden boutique features a wide range of goodies that appeal to gardeners of all ages, including upscale tools, homewares, decor, quirky gifts, apparel, candles, personal care items, jams and salsas, houseplants and more. Every item in the store is personally hand-selected and tested by Sheri Gramer, Founder and Proprietor of the garden boutique. Every spring, she fills her store with fresh herbs – both unusual varieties and staples. Seasonal trends are always on display to keep customers in tune with the latest and greatest in the world of gardening and home decorating. Be sure to walk down Franklin’s historic Main Street to take in all the award-winning vintage shops, brick-and-mortar gift stores, fashion-forward boutiques, art galleries and restored homes that reside in this vibrant, antique district. varieties. If you find your store’s next best-seller, Optimara’s diverse collection of plants can be shipped to independent garden center retailers nationwide using FedEx. Since they’re best-known for their African Violets, the commercial grower has two to three growing areas dedicated solely to producing and finishing their violet varieties – you won’t want to miss a tour through these must-see production houses. Their innovative self-watering devices use capillary action to draw out the right amount of water into the soil, greatly reducing the chances of underwatering or overwatering. Bates Nursery & Garden Center distinguishes itself with information, selection and helpfulness. The minds behind the independent garden center pride themselves on carrying the most extensive selection of plant material available. The store stocks everything from groundcovers to large-specimen container trees, and offers the widest variety of seasonal color annuals and year-round perennial plants. In addition to the more than 3,000 products registered in its inventory system, the retailer can place special orders and has done so for many residential customers and contractors. The extensive inventory of plants and products is searchable on Bates’ website, which features photos, descriptions and prices of most items. Borne out of frustration with the poor-quality soils widely available in the marketplace at the time, the EarthMix Garden Products line was developed and produced by Bates Nursery over a 20-year period. The line includes wholly organic, sustainably produced, professional-quality soils and amendments that have been developed, processed and bagged right on-site. Situated on an expansive 10-acre property, family-owned-and-operated Hewitt Garden and Design Center offers a wide range of services for any type of project customers need, such as consultations, design, installations and full-scale landscaping projects. Distinguished by the variety and quality of its green goods, the independent retailer has 12 greenhouses dedicated to the production of annuals and perennials. The gamut of available plant material includes tiny succulents and hard-to-find houseplants and runs the full scope up to large specimen trees, including 3.5 acres filled with Japanese maples, evergreens, conifers and shrubs. Roses are a special focus here, and customers won’t find a bigger selection at any other garden center in Tennessee, according to Hewitt. The retail garden center’s one-of-a-kind gift shop features unique pottery, unusual gifts and home decor. Find out why customers travel from all over the country to visit here, with many flocking back for a special trip every year. garden center and bought plants while they recovered from the fire. Ask about the IGC’s selection of hard-to-find herbs, all organic and grown pesticide-free. Browse through an incredible variety of containers, pots, garden urns and window boxes, available in a range of sizes and colors to satisfy every gardener. The retailer’s custom potting service is a popular request among the store’s clientele, and the store offers pre-planted, ready-to-go designs showcasing the latest garden trends. highest-quality plants, trees, annual flowers, interior foliage, soils and mulches, organic solutions, and decor and accessories for today’s homes. Positioned as a curated boutique, Long Hollow Gardens is appreciated for its refined selection. The retailer gets attention for its greenhouse, but be sure to take a stroll through the gardens near the farmhouse. Ask how this retail garden center expanded to include an event venue on-site for special occasions and a vineyard that produces Southern varietals that continue to surge in popularity. Customers never know what they’ll find around the corner, including the absolute best in plants, Instagram-worthy interior selection, workshops, charity events and internationally published weddings. During spring and fall, the retailer brings out gourmet food trucks to serve their guests while they shop. The Johnny Cash Museum is one of only six destinations in Nashville to earn the coveted AAA Gem rating. The museum boasts the world’s largest collection of Johnny Cash artifacts, films, handwritten notes and letters penned by the man himself, more than 25 costumes, as well as other personal memorabilia. Colorful, illuminated exhibits highlight different periods in the musician’s career, including his time spent serving in the Air Force, his marriage to fellow country music star June Carter and his famous prison concert tour. Since this museum is officially licensed by the Cash family, you’ll have access to personal mementos available nowhere else, including a section of stone wall that was removed from Johnny and June’s lake house in Hendersonville, TN. Pick through a range of quirky decor, furniture and folk art, and discover vintage gems that you can repurpose in your next merchandise displays at Antique Archaeology, a store owned by the star of History Channel’s American Pickers Mike Wolfe. Take back eclectic design inspiration and tips on how to repurpose historic structures from the 100-plus-year-old red brick warehouse buildings that make up Marathon Village. Originally opened to manufacture cars for Marathon Motor Works, the village is now home to a fun, funky community of local businesses. It houses more than 45 tenants, ranging from distilleries, home decor and apparel boutiques to entertainment venues, gourmet candy companies, restaurants, art galleries, tattoo parlors and antique dealers.